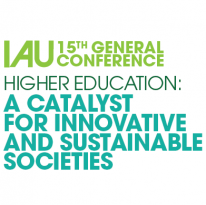 From November 13 to 16, the IAU held its 15th General Conference in Bangkok which was hosted by a consortium of Thai universities. More than 300 participants from 85 nations worldwide took part in the event and engaged in lively debates on “Higher Education as a catalyst for innovative and sustainable societies”. The Conference presentations and other conference material are available on the Conference website.